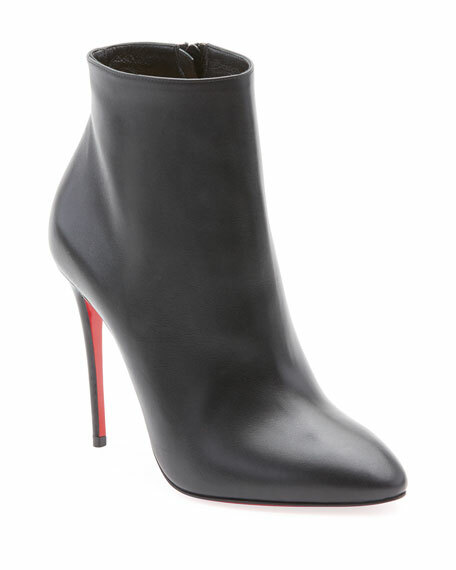 Christian Louboutin smooth calf leather bootie. "Eloise" is made in Italy. Aquatalia boots in suede and dyed sheep shearling (China) fur with leather trim. 0.8" flat heel with platform. Round toe. Aquatalia boots in suede and dyed sheep shearling (China) fur with leather trim. 0.8" flat heel with platform. Round toe. Lace-up vamp with drawstring center. Notched vamp. Pull-tab at backstay. Lugged rubber sole. "Lorena" is made in Italy. Brunello Cucinelli ankle boot in python snakeskin with monili beaded detail. Shimmer-striped cashmere knit side gores. 4" covered column heel. Brunello Cucinelli ankle boot in python snakeskin with monili beaded detail. Shimmer-striped cashmere knit side gores. 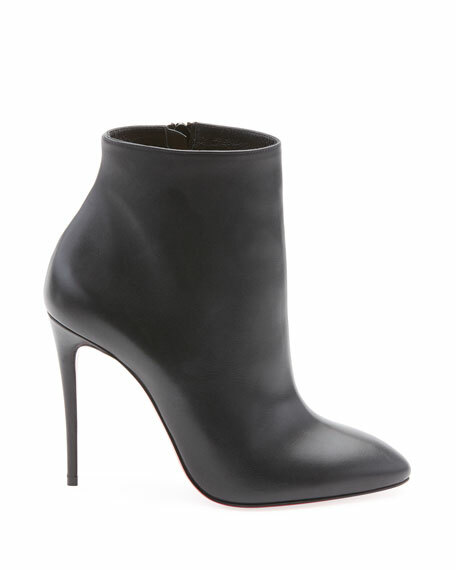 4" covered column heel. Square toe. Pull-on style. Made in Italy. Python cannot be sold or shipped to California. Coach calf leather boots with dyed sheep shearling (Turkey) trim. 0.5" stacked heel with slight platform. Round toe. Ankle strap with classic logo buckle. Pull-tabs at sides. Pull-on style. Leather lining. Rubber outsole. "Leighton" is imported.